Local water expert and Coal Creek Watershed Coalition president Steve Glazer approached the Town Council at the July 7 meeting and asked if they would participate in the purchase, maintenance and operations of a water-monitoring gauge for Coal Creek by the Butte Avenue Bridge. The gauge is very modern and not cheap. The purchase price is $18,000 and monthly operating costs come in at $1,400. Glazer said he has pledges for the majority of the money to buy the equipment but wanted town participation. After a long presentation and discussion, the council admitted some confusion and hesitation over the matter and decided to not jump in right away. Instead they will take the advice of town Public Works director Rodney Due and start budgeting for a water attorney to shed light on the Crested Butte water rights situation. That budget discussion will begin in August. Town planner Michael Yerman said the town has contracted with a traffic study consultant. The group will be putting traffic counters on the streets around town the last two weeks of July to conduct vehicle studies. New Parks and Recreation director Janna Hansen introduced herself to the council at the July 7 meeting. She said there were lots of good projects coming up with the tennis court renovation project and Big Mine Park planning. 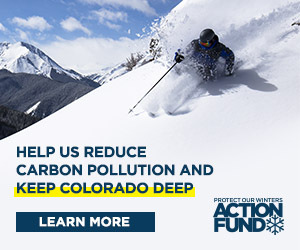 Those projects will be funded in part through major Great Outdoor Colorado grants. Hansen also said the Parks and Recreation crews were busy and working hard. Hey guess what? Sales tax revenues are climbing. Year-to-date through May, the revenues are 9.9 percent higher than last year at this time. The council approved annual spring/summer grants to various nonprofit organizations. The awards ranged from $2,750 for Crested Butte Bike Week to $500 to go toward renovations in the Gunnison Whitewater Park.